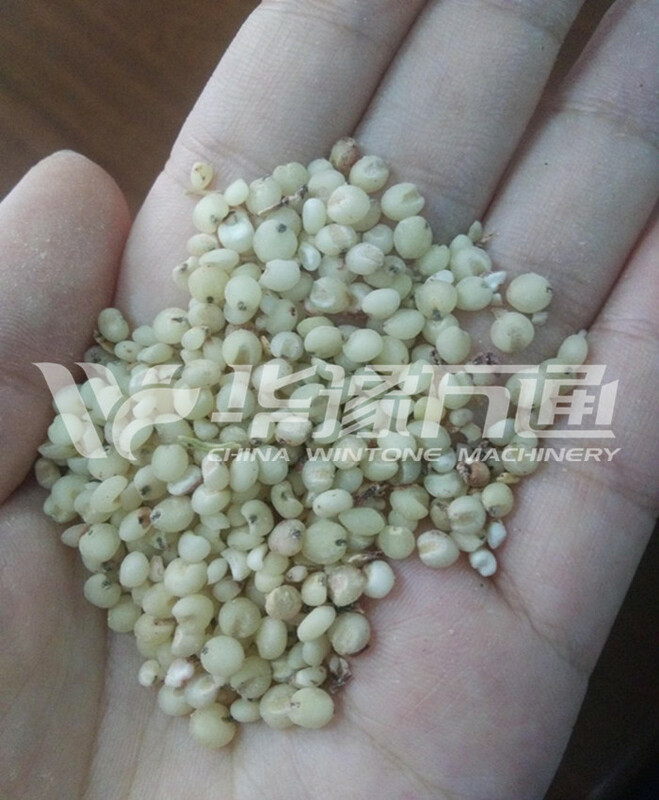 Sorghum /jowar processing equipment is used for cleaning, hulling, milling (peeling and polishing), grading, color sorting, packaging sorghum. 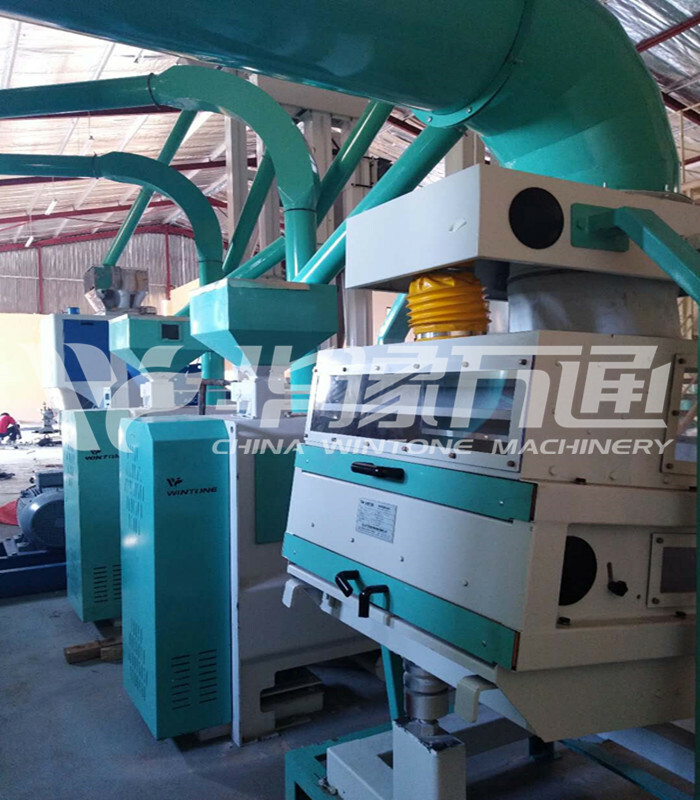 Sorghum processing equipment usually refers to the processing line. It can meet the market’s need, and create more economic profits for clients. The raw material is elevated to cleaning process where double sifters and destoners are installed. 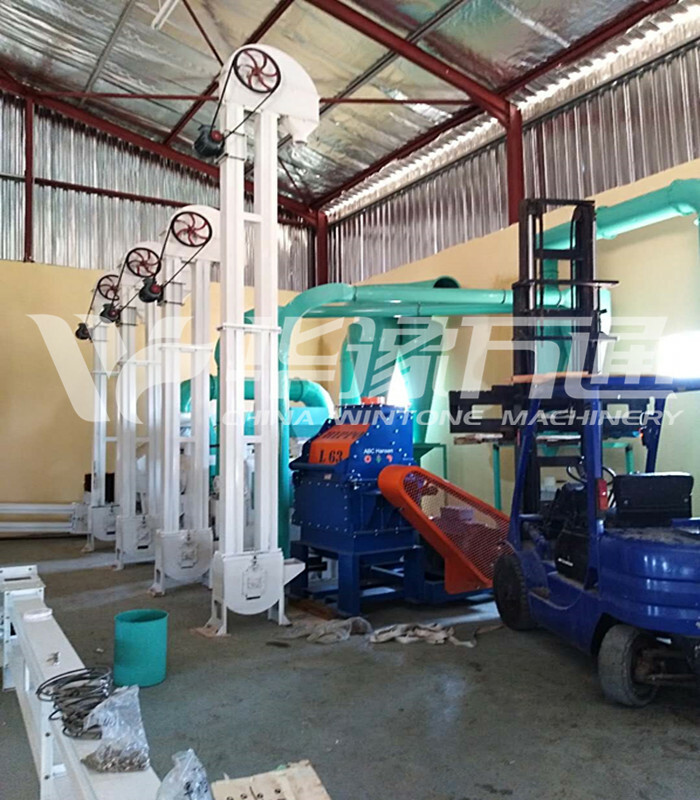 The vibration screen effectively clean big and small impurities; the destoner completely removes heavy impurities like stones and mud; The magnetic separator is mainly used to clean out the metal, greatly increasing purity of the finished products; the collector gathers the impurities. The purified materials go to the processing procedure where two emery and iron roll hullers are installed. The emery roll huller is a new equipment well designed and developed according to clients’ requirements; the spiral conveyor is used to charge in the material by force with stable flow but small amount of brokens. The huller is equipped with indicator to display current and voltage, regulator to adjust multiple ventilation doors; the advanced wear resistant parts in the machine are durable. The iron roll huller is effective and stable; the spiral conveyor is used to charge in the material but force with stable flow by small amount of brokens. The huller is equipped with indicator to display current and voltage, regulator to adjust multiple ventilation doors; the wear resistant parts in the machine are of advanced technology. The hulled sorghum is elevated to the polisher to be whitened and sifted out the brokens with double-case plansifter. Then they go to the color grader to be selected out the the particles of different color. Byproducts(husks, flour) from emery roll and iron roll hullers and polishers are individually packaged by packaging cabinet. The sorghum processing equipment consists of: sorghum processing equipments (e.g. 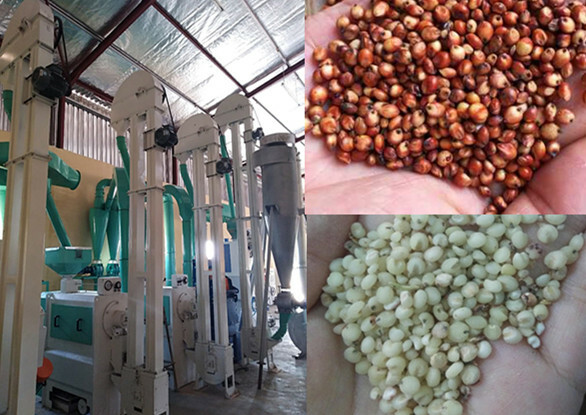 : sorghum huller, sorghum rice miller and polisher, color-sorter, etc.) and foodstuff processing general equipments (e.g. : hoist, de-stoner, H-efficient vibrating sifter etc.). 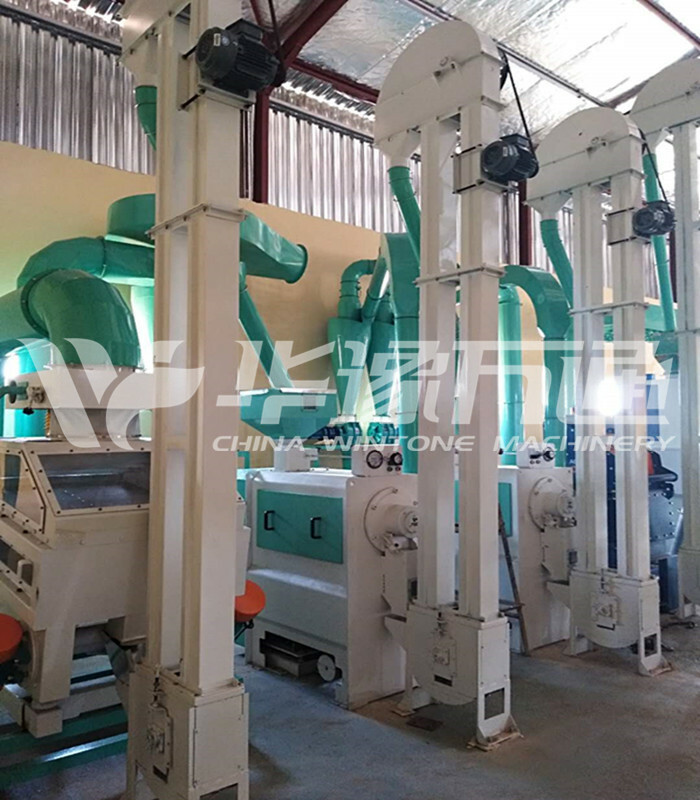 The line can process sorghum rice, and the finished products are series of sorghum rice and feed. It has high yield, inclusion-free of the finished sorghum. The line has simple structure, high adjustability for the field area and the workshop. It can effectively cut down the fixed investment. It has simple installation and short construction period. The line adopt the most advanced technology, which can save more energy. 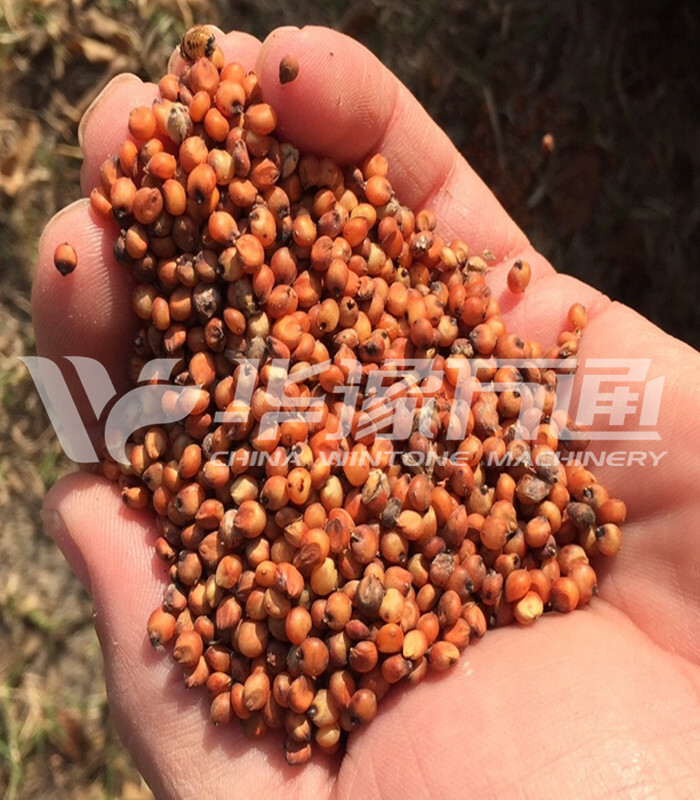 Win Tone sorghum processing equipment is the perfect choice for millet and sorghum processing.